This London by Night tour will reveal the floodlit splendor of London’s landmarks as dusk falls. When twilight descends upon London, the attractions of the city become imbued with a certain grandeur. This sweeping, wide–ranging tour will encompass the most distinguished and vibrant areas of this world renowned capital, including Parliament Square, Trafalgar Square, Piccadilly Circus and the financial district of the City. The tour also glides past eminent structures and attractions such as the world renowned London Eye, St Paul’s Cathedral, inimitable Buckingham Palace, the formidable Tower of London, Big Ben and the Houses of Parliament. 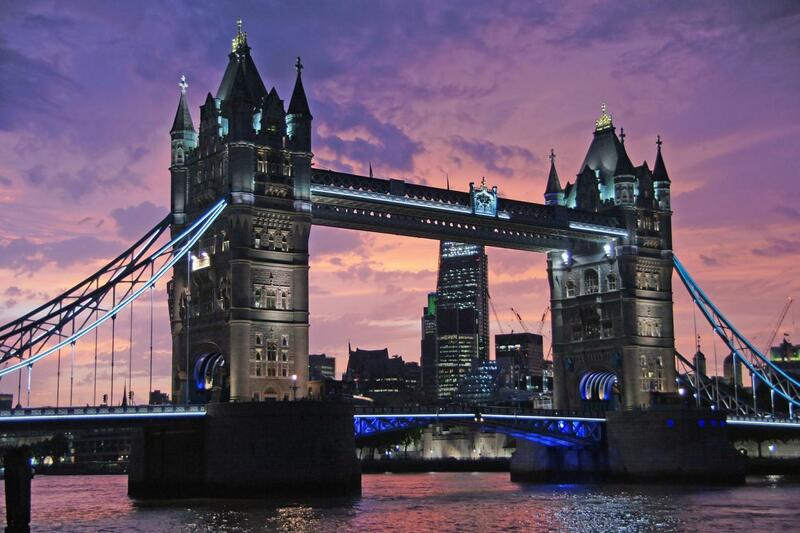 Embark upon this tour and discover the extraordinary allure of London at dusk. Audio guides available in the following languages: English, French, German, Spanish, Italian, Brazilian Portuguese, Russian and Japanese. Please note: You cannot hop on hop off on this tour. This tour finishes in Victoria at approximately 9:45pm.